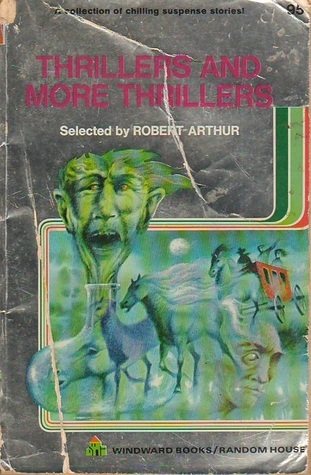 Thrillers and More Thrillers was one of the many young adult short story collections Robert Arthur released in the 1960’s. Remembered as the creator of The Three Investigators, Arthur was a workaholic writer who cranked out an enormous amount of words until his death in 1971. He also edited many of the “Alfred Hitchcock” story collections which lined bookshelves in the 1960’s. My encounter with Thrillers came during 5th grade. The teacher had received a new consignment of books that day and I, ever the eager bookworm, couldn’t wait to get to them. But my friend Dave beat me to the pile and snagged Thrillers before I could get to it. And oh that hardback edition looked swell. I had to wait an entire week to get my eyes on the pages. Was it ever worth the wait! Naturally, Dave kept telling me how great the stories were while held onto the book. The first story, which I had somehow managed to not read when I was 9, is “Mr. George” by August Derleth, the famous writer, publisher and hold of the torch to H.P. Lovecraft. A young child is left alone in a big house when her mother dies. She’s already been making regular trips to the grave of “Mr. George” who may or may not have been her real father. Greedy relatives move into the house and hatch a plan to see that the child is eliminated by “accident”. But a spectral presence has decided to thwart their evil deeds. Next is “The Calamader Chest” by Joseph Bayne Brennan. It scared the pants off me the first time I read it. The story still holds up. A young man buys an interesting chest from an antique dealer. He doesn’t know the history behind it. One night, he spies a human finger emerge from the chest and start scratching at the lock. Is he dreaming or is it something else? “The Poison Necklace”, by Miriam deFord is another one I couldn’t forget. A gifted chemistry student creates a necklace display of toxic crystals. But a young boy grabs the display with a handkerchief and takes it home. 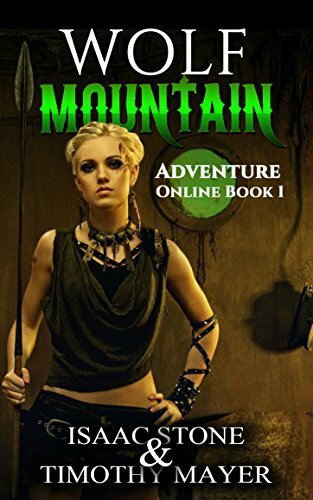 You’re left wondering who will finally make the fatal contact with the deadly arrangement. One of the lengthiest, and one of my new favorites in the collection is Robert Louis Stevenson’s “The Bottle Imp”. Stevenson had relocated to the pacific islands when he wrote the story and was immersed in the various Polynesian cultures. The story is about a demon trapped in a bottle who can grant wishes (with some restraint). However, the person who owns the bottle will be condemned to hell should they die with the bottle in their possession. Also: the owner can only get rid of the bottle by selling it at half its value. The story concerns a Hawaiian native who comes in possession of the bottle and what he does with it. And there’s “Faith Hope and Charity”, by Irvin Cobb, about three criminals who will do anything to escape their appointment with the executioner. They do manage to get out of jail, but death is still waiting for them. A grim tale, which I managed to miss on the first read. “Ms. Manifold”,by Stephen Grendon: a traveler takes a room at a London flophouse. He discovers the proprietress had a husband in the distant past. No one seems to know what happened to him, but the narrator finally discovers the truth of his disappearance. Finally, there;s “The Hands of Mr. Ottermole” from Thomas Burke. The story is told in the second person about a strangler who manages to avoid the police at every turn. Finally, an inspired journalist discovers the identity of the killer. And he makes the wrong choice about going to the police with the evidence. The collection also features the amusing “My Displaced Ghosts” by John West and Poe’s classic “The Tell-Tale Heart”. The illustrations by Saul Lambert gave me plenty of nightmares. It’s a little hard to believe this story collection was marketed toward kids. Nowadays, no publisher would even touch theses subject matters for the young adult market. I don’t know why. I seemed to have turned out alright.